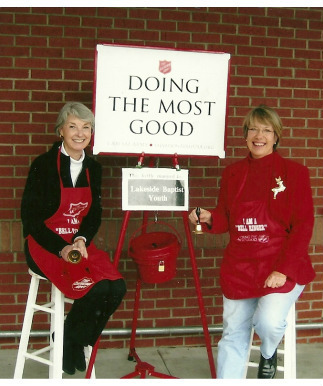 Women's Circles have played an important role in Lakeside's local missions involvement for many years. There are currently five Circles which meet indepently on a monthly basis. Each Circle determines its own organization and missions focus. Circle 2 meets the second Tuesday morning of each month in a member's home for Bible study. The group has a long-term commitment to assisting a local family in need and participates in other local missions opportunities. Circle 6 meets the second Monday morning of each month at the church in order to learn about various missions opportunities. The group sponsors a monthly mission project which is selected by members of the group. Circle 9 meets the second Monday morning of each month at the church in order to learn about various missions opportunities. The group sponsors a monthly mission project which is selected by members of the group. Circle 10 meets the second Monday evening of each month in a member's home to learn about various missions opportunities. The group makes regular visits to homebound church members and participates in a variety of hands-on projects throughout the community. 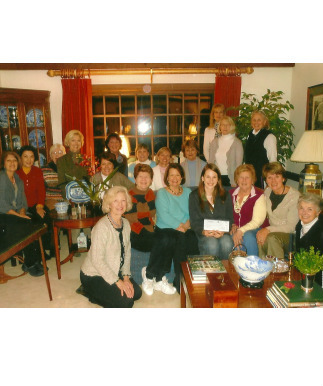 Circle 10 published the Lakeside cookbook, A Taste of Lakeside, which raised thousands of dollars for local missions efforts and continues to be a favorite among Lakeside's many talented cooks. Circle M meets the third Thursday evening of each month in a local restaurant. The group sponsors Lakeside's Backpack Buddies program which provides weekend meals to 25 children in the free lunch program at Benvenue Elementary School, as well as helps to organize Lakeside's sponsorship of dozens of children each Christmas. Circle M was named in memory of Alma Murchison and Sue Marsigli.